Our playgroup recently decided to get our walk on. That is, us moms got tired of sitting around and sipping coffee on the sidelines while our kids played so we decided that we’d join in on the fun and get active during our playdates. It’s been a great experience of not only getting a little healthier, but being good role-models for our children. Meeting multiple times a week in areas where the kids can play without inhibitions. Bringing fresh fruits and veggies for everyone to snack on. Offering only healthy drinks that are free of artificial colors, sweeteners, flavors and preservatives. Using kind words to guide our children so that they know how to speak to each other. It’s inspiring and motivational to surround myself with families with similar ideals! 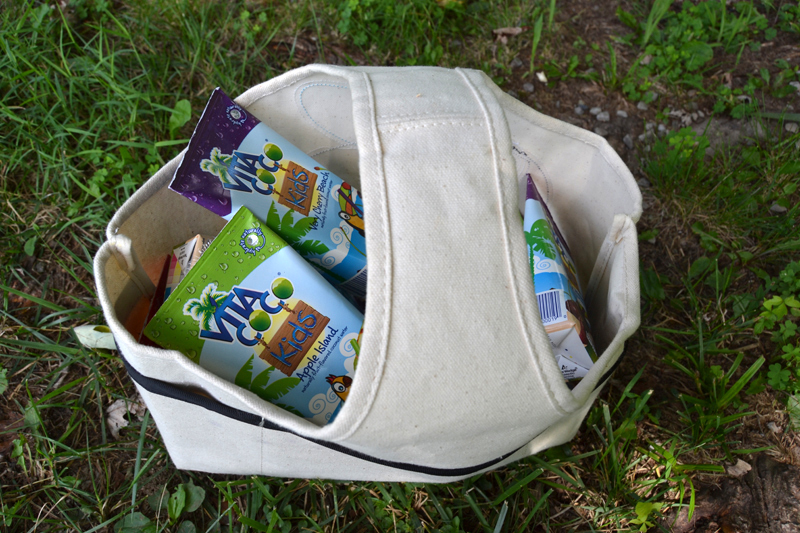 When I came across the Vita Coco Kids pouches I was excited to share them with my girls and my mama friends because we are always passing back and forth our great finds. This brand of coconut water was featured on the “Made to Matter” Target collection, which is curated specifically to highlight natural, organic and sustainable family-friendly companies, so obviously we’re not the only moms talking about it. Low on sugar but lots of flavor. The sweetness comes from real fruit blends (of course there’s no HFCS!). Only ingredients you can pronounce. Packed with natural electrolytes that keep little squirts hydrated and quench their thirst. Kids will actually drink them. When I was pregnant I lived off of coconut water and despite my frequent attempts, my kids never liked them! My kids both drank these (my three year old declared she’d drink the Apple one for breakfast each morning) and the other kids that sampled them, from two to twelve, all drank theres as well. Score! 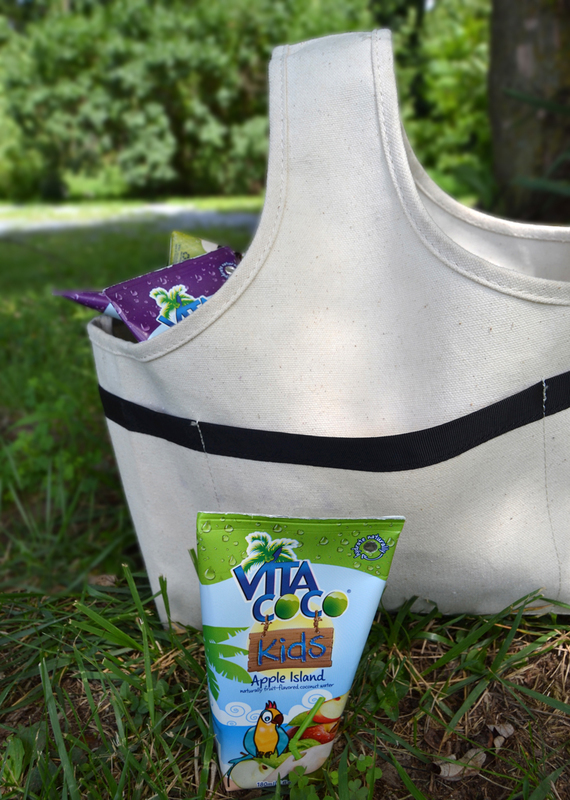 You are also invited to follow Vita Coco Kids and enter the #HydrationEducation social media photo contest for a chance to win a $50 gift card that will help you stock up on Vita Coco Kids for back to school. 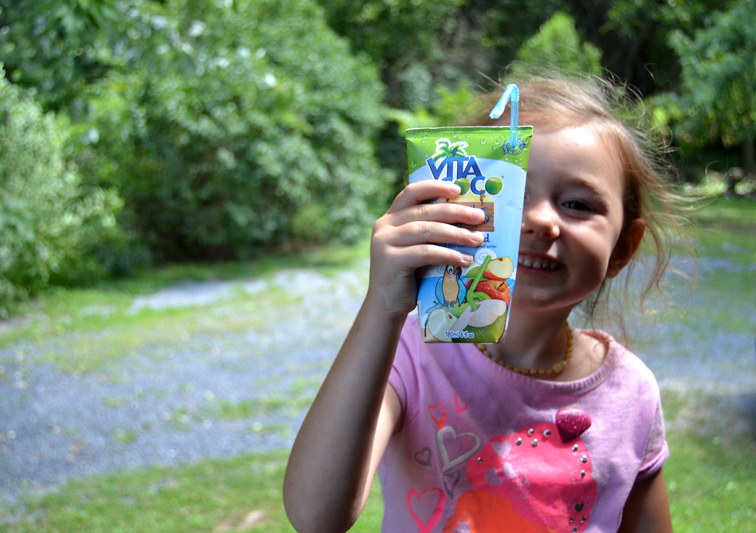 All you have to do is post a picture on Facebook or Instagram with the #HydrationEducation hashtag showing how your little monkeys are getting ready to go back to school with Vita Coco Kids products, recipes, and fun downloads. A monthly winner will be selected during the months of August and September. This is a sponsored conversation written by me on behalf of Viva Coco Kids via Burst Media. The opinions and text are all mine.